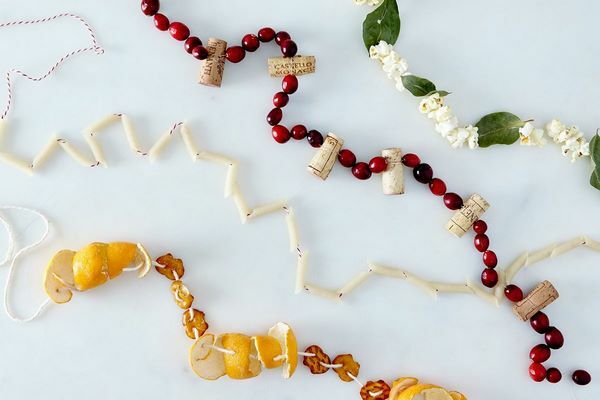 DIY Christmas garlands from food is a way to give a new and unexpected look of your festive decoration. 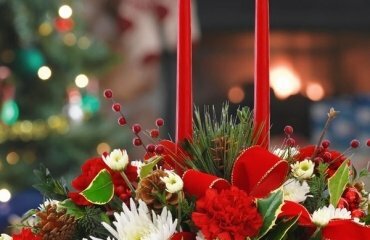 The holidays are just around the corner and for many of us it is very important to be able to create a unique holiday atmosphere in the house. Few of the holidays are so much fascinated as Christmas. 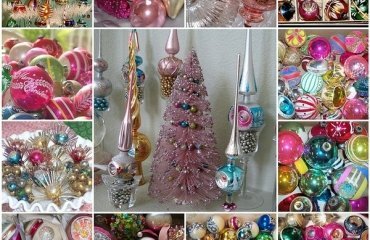 Of course, the decorated Christmas tree is always the centerpiece of the holiday decor but if you made the ornaments by yourself, then your Christmas is going to be absolutely wonderful. 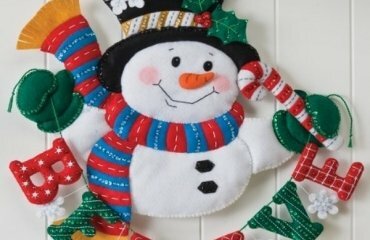 We showed you how to make unique garlands from Christmas cookies – gingerbread men, letters, stars, snowflakes – or any other shape that you like. 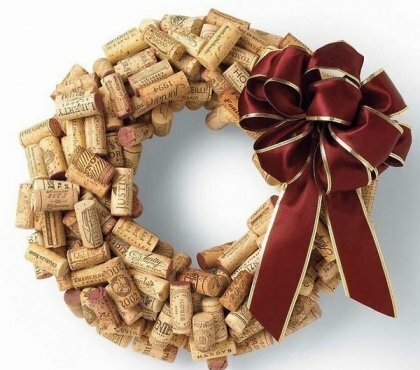 Those who prefer more traditional approach can enjoy the freshness and the scent of evergreens or choose another favorite option – dried fruit garlands. 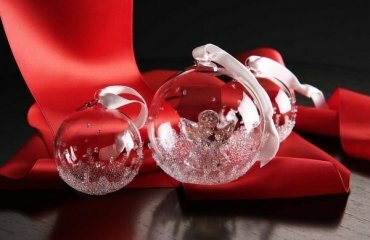 If you prefer environmentally friendly decorations, then ornaments and garlands form natural materials are the way to go. 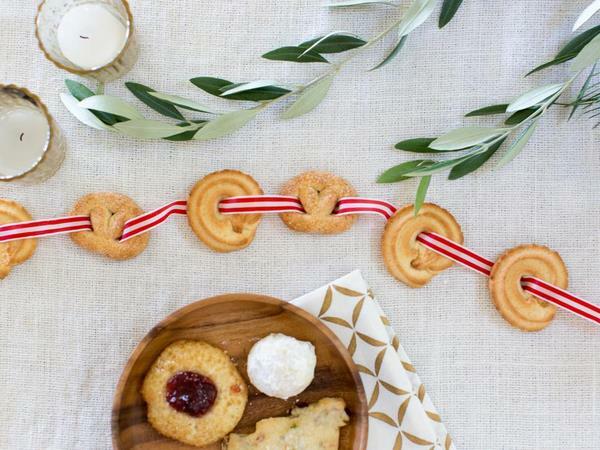 However, there are some other tasty options for edible Christmas garlands, which are a lot of fun and a great idea for kids’ crafts and holiday activities. 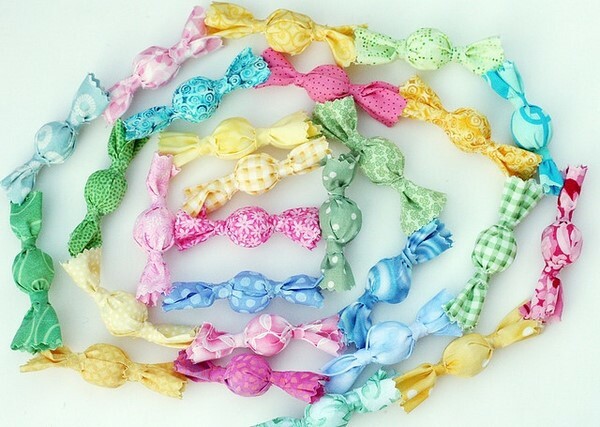 How about some delicious garlands made from food? 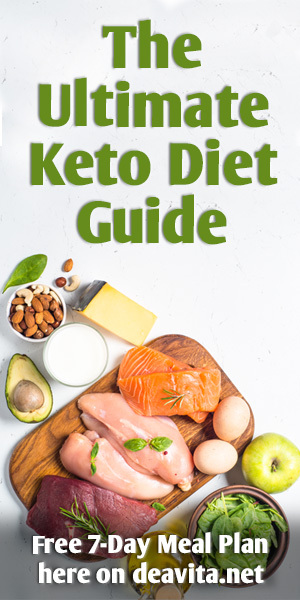 What kind of food, you will ask. 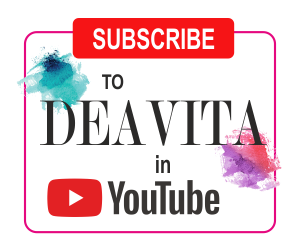 Well, we will give you some interesting ideas and you can choose the one that you like best. 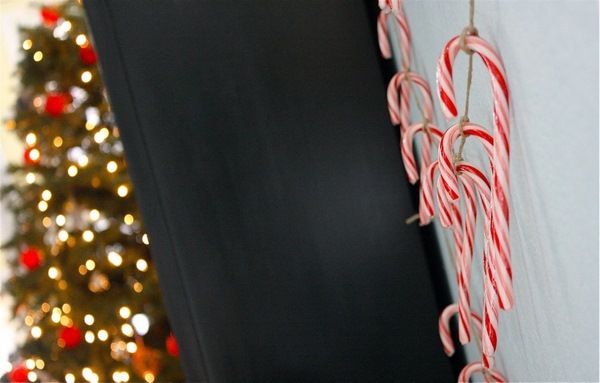 DIY Christmas garlands from food are fun to make and you should ask the children to help you. 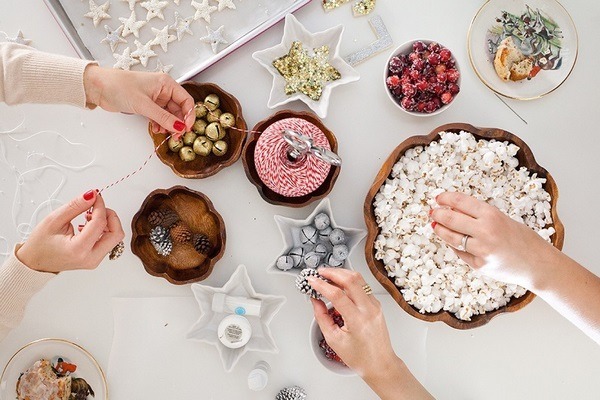 Even better, you can organize a craft afternoon and let them make the tree ornaments and the garlands all by themselves. If you’re looking for a fun (and delicious) holiday activity, keep reading! 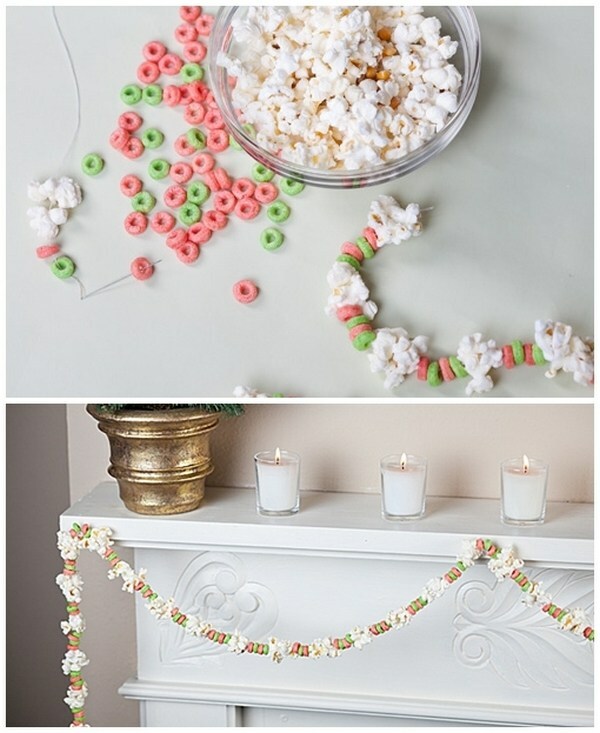 How to make a popcorn garland? 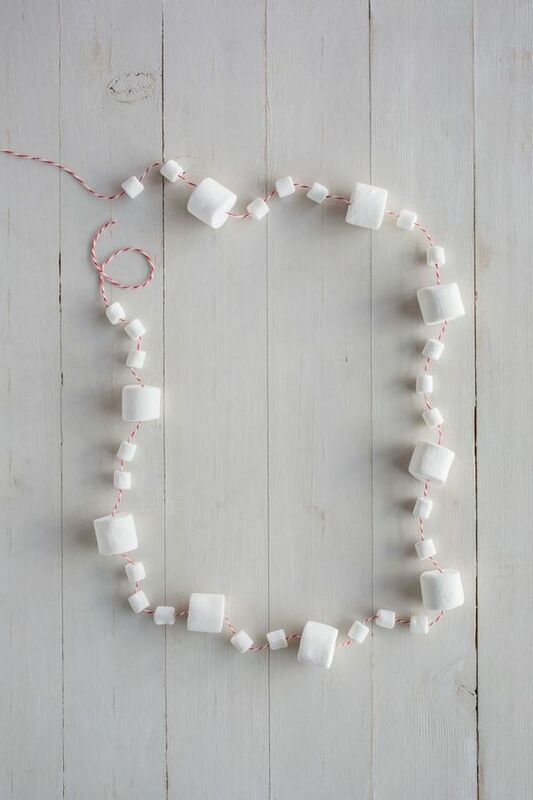 This is one of the easiest ideas for homemade decorations which are so much fun for kids and grown up kids! You can decorate not only the Christmas tree, but also, then the room or the fireplace, the windows or the kitchen buffet. Yes, popcorn is a treat not only for your movie time. They can be a fantastic and tasty winter decoration. If you haven’t got small kids you can use some spray paint and have a silver/gold garland or use a glitter of different colors but if there are children in the home, it is not advisable to use any paints. You can combine popcorn with other food – for example, cheerios, dried fruit, etc. Make popcorn and allow it to cool well. It is best to make it without any oil to avoid greasy spots. 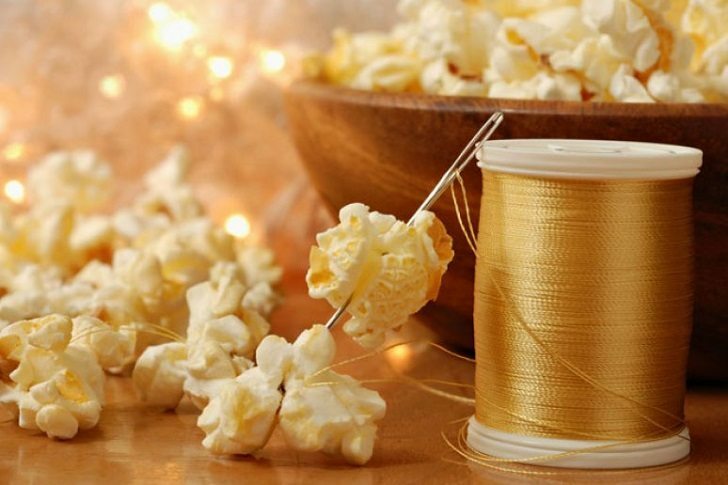 Be careful not to dry the popcorns, so that they do not break while threading them. 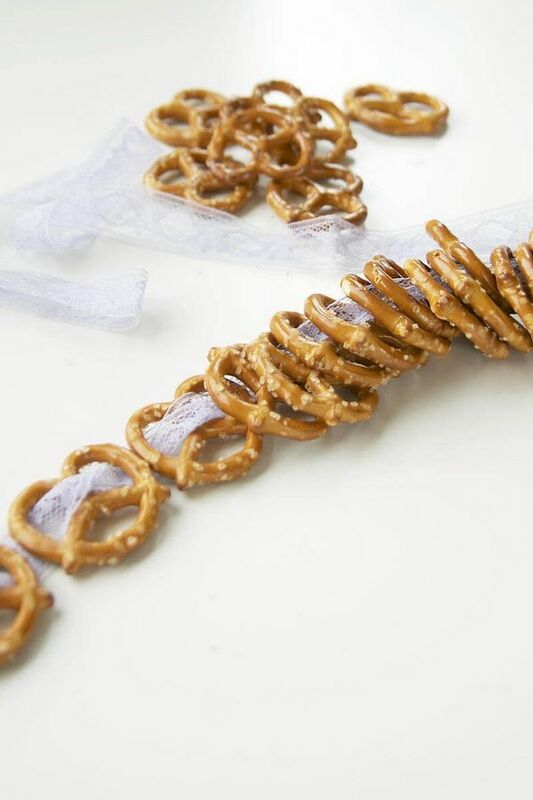 If you plan to involve the children in this fun Christmas activity, it will be a good idea to make some extra quantity for eating while making the garland. Step 2 – Measure the desired length of your garland and cut the thread. 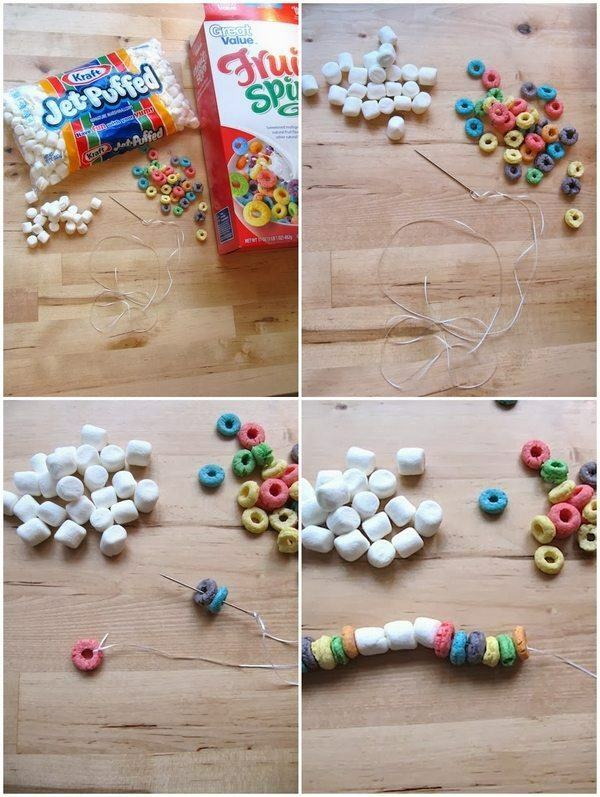 Make sure you add some extra length on each end to make a loop. Step 3 – Use a large needle and start threading the popcorn. Step 4 – Optionally, spray paint your popcorn garland but make sure that your children are aware that the painted garland must not be eaten. 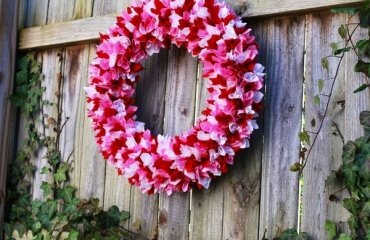 You can apply a thin layer of glue and sprinkle glitter on the garland or decorate it in any other way. If you use paint, glue or glitter, let the garland dry completely before hanging it on the Christmas tree or use it anywhere in the house. Using dry pasta for crafting is another fun activity. 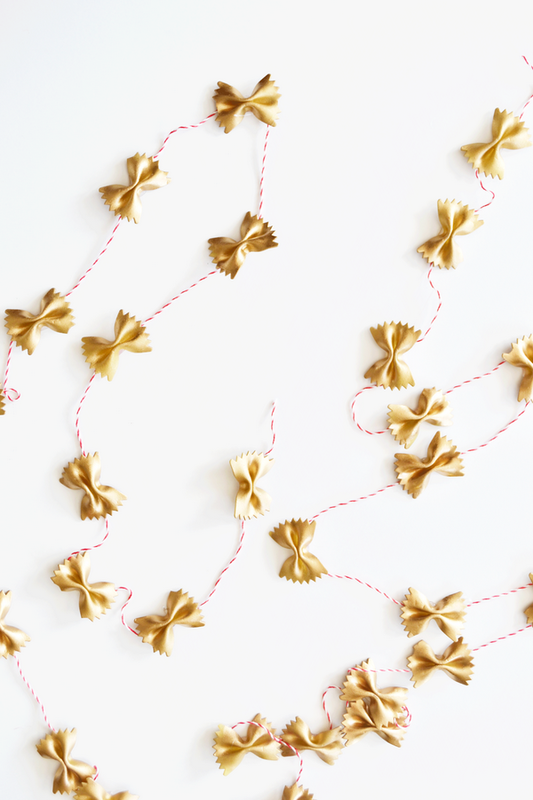 For your DIY Christmas garlands from food you can use different types of pasta – bow tie (farfale), rigatoni, penne – and the great advantage is that pasta is almost ready to be used for garlands. Paint the pasta in the chosen color. 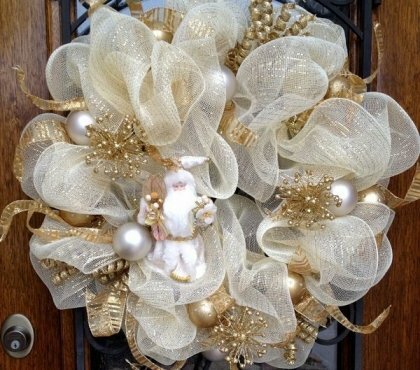 You can use gold, silver or any other color, glue and glitter. Leave the painted pieces to dry completely. When the pasta is dry, tie each piece to the thread. If you use pasta like penne or rigatoni, you can simply thread the elements until your garland is complete. 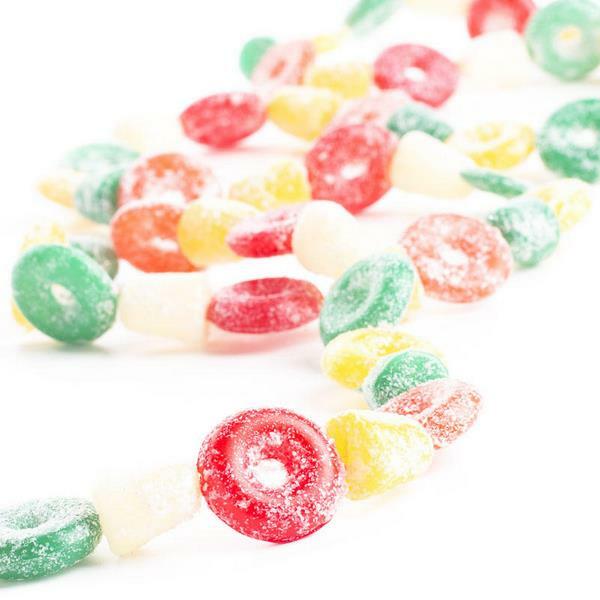 One of the tastiest and most fun for children DIY Christmas garlands ideas is to use candy of any kind! 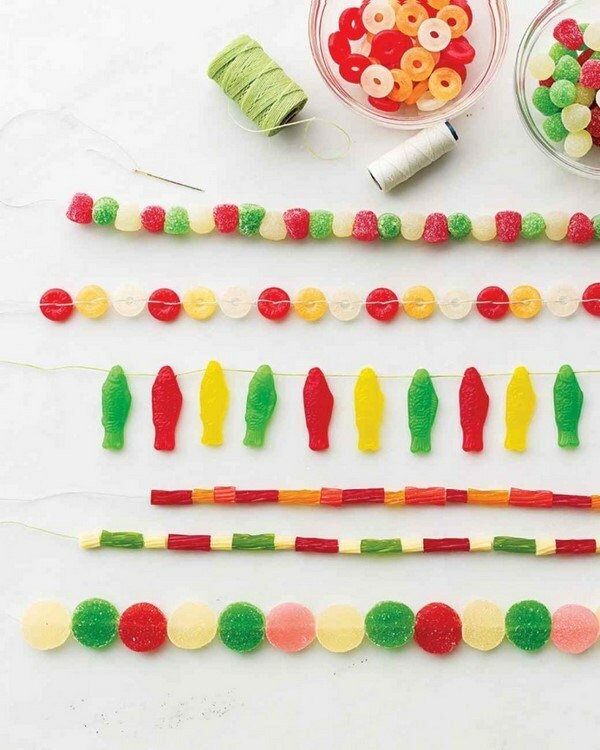 You need packs of gummy bears or jelly candies, red-and-white twine and a needle. The easiest way to make a gummy bear garland is to tie each one individually onto the twine wrapping the twine around the bears. You can choose bears in one color or use all the bears as they come in multiple colors. 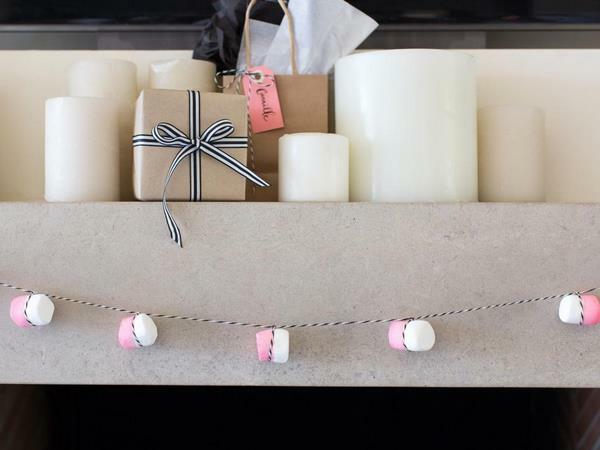 How to make a marshmallow garland? Marshmallows are the favorite addition to hot cocoa but they can be used as tasty Christmas decoration as well. You will need packs of marshmallow, a thread and a needle. 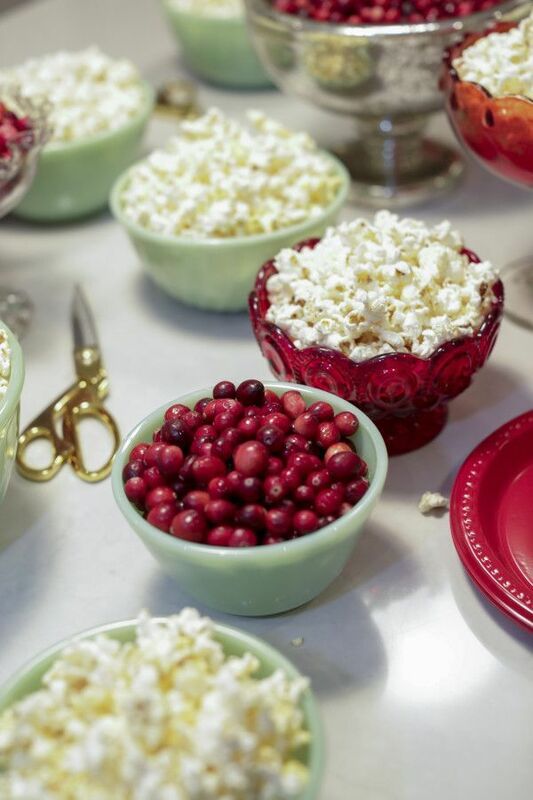 You can dip them in red food dye and they will have a festive red-and-white Christmas look. 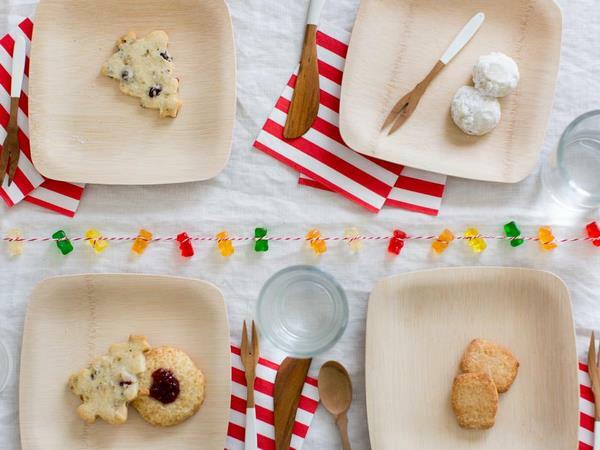 Use a needle to thread them and decorate the children’s table for the Christmas dinner! Use the same technique for jelly beans garland. 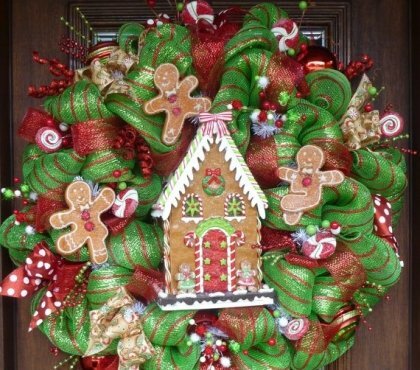 Enjoy the photos of DIY Christmas garlands from food in the gallery below. Use your creativity and imagination – pretzels, Danish butter cookies, candy canes, cranberries, licorice, wrapped candy, add spices – star anise and cinnamon – the options are unlimited!